Between 1990 and 2015, the global under-five mortality rate has declined by more than half, dropping from 90 to 43 deaths per 1000 live births. Between 1990 and 2015, the number of deaths in children under five worldwide declined from 12.7 million in 1990 to almost 6 million in 2015. Children in rural areas are about 1.7 times more likely to die before their fifth birthday as those in urban areas. Children of mothers with secondary or higher education are almost three times as likely to survive as children of mothers with no education. While Sub-Saharan Africa has the world’s highest child mortality rate, the absolute decline in child mortality has been the largest over the past two decades. 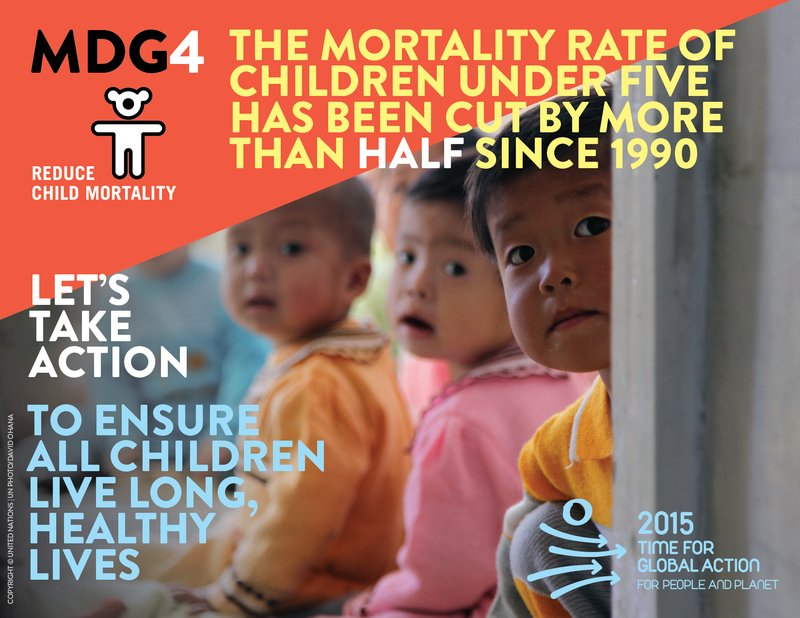 Every day in 2015, 16,000 children under five continue to die, mostly from preventable causes. Child survival must remain a focus of the new sustainable development agenda.